June 2016 represented a fantastic historical moment for the Ford Motor Company. 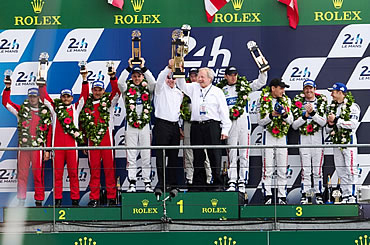 The organization is assured enough to dared to return to Le Man, fifty years after an incredible 1966 victory, with the belief that they could take on that tough competition for the win once more. 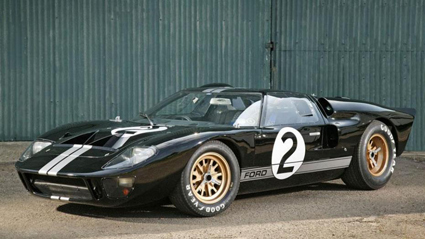 In case you are not aware, in June of 1966, Ford entered their Ford GT40 and secured their first event win. There was quite a rivalry between Enzo Ferrari and Henry Ford II. However, the victory wasn't easy. It came after years of testing and expense to improve engineering efforts. And it wasn't until great American Icon, Carroll Shelby took over the program that the GT40 won. The 1966 winning Le Man’s Ford was piloted by Bruce McLaren and Chris Amon. Fast Forward . . . . a half a century later, building a brand new car and racing it at Le Mans (Circuit de la Sarthe, Le Mans, France) for the win loomed a monumental commission . . . . the stuff dreams are made of. 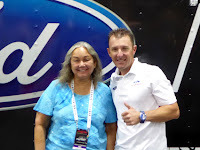 NASCAR Race Mom was first introduced to Joey Hand when he was just a youngster and racing in the International Kart Federation Region 7 with her son. After karting, Hand apprenticed two years in the competitive Star Mazda Series. Hand turned those earlier lessons into a very successful racing career. He was best known as a sports car driver, and is co-winner of the 2011 24-Hours of Daytona driving for Chip Ganassi Racing, and the 2012 12 Hours of Sebring GT class for Rahal Letterman Lanigan Racing. Then a chance meeting with his previous boss set the stage for a racing dream come true. Hand was running down the back of pit lane at Petit Le Mans to congratulate his friends at Turner for winning the 2014 Championship. He literally had to slide to a stop to avoid running into Chip Ganassi. Chip, known to be super blunt and to the point, invited Hand to race for him. “What? I was saying, and Chip said ‘yeah come drive for me next year - this is the time.’ We had talked about it before . . . I said oh, can I call you - so short story that's what started this; basically running into him on pit lane and without that lucky meeting, I don't know if he would ever call me and invited me to drive for him.” Hand chuckled. 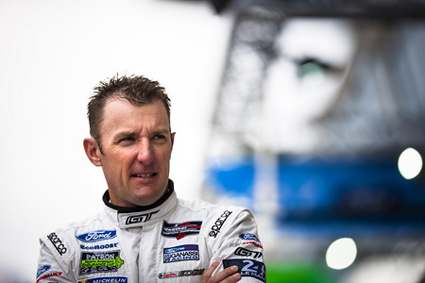 That unscripted encounter, put Joey into the driver’s seat at the 2016 24-Hours of Le Mans LMGTE Pro class for Ford Chip Ganassi Team USA driving the Ford GT* with teammates Dirk Müller and Sebastien Bourdais. The number 68 Ford captured the pole position in qualifying, with Müller notching the fastest time. It was a pole-to-pole finish for Ford, although there were periods during the race, especially overnight, when Ford ran second to their old rival Ferrari. “We had a steering wheel malfunction, the car wouldn't shut off as they fueled and we got a drive thru penalty. We lost about sixty seconds. In Le Mans, there are no yellow flags to bunches the field. I drove three - three hour stints. I was in second, it was really late, in the middle of the night, when I was lucky to be the guy in the car when we had pace and I passed the Ferrari for the final time with just four hours to go. I passed the Ferrari after catching him from seventeen seconds back. I got to passed him and then pulled away.” Hand detailed fondly. After that immense battle with the No. 82 Ferrari, the No. 68 Ford GT took the lead for the final time in the twentieth hour of the race and Müller drove the race car across the finish line for the checkered flag. 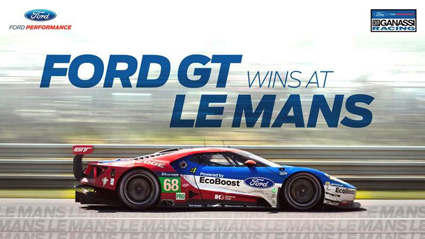 In addition to winning the race, the Ford Chip Ganassi Racing squad placed three of its cars in the top four in the LMGTE Pro class at the 24 Hours of Le Mans! Almost a repeat of the 1966 ‘one-two-three’ finish. *The Ford GT features the ultimate in aerodynamics, lightweight carbon fibre construction and the ultra-efficient twin-turbo V6 EcoBoost engine, Ford’s most powerful production engine that produces over 600 horsepower. The Ford GT is the pinnacle product of the Ford Performance range so it is fitting that the road car version will make its dynamic debut at Le Mans. NASCAR Race Mom just finished up a year of Barrett-Jackson Auctions. All were fun and exciting yet different in their own unique ways. This interview with Joey Hand was the highlight of my Las Vegas Trip. Hand is a very sweet and humble talented driver – good things come to good people. #ILikeWinners is Chip Ganassi's favorite twitter hashtag and he sure does know how to pick them.